On an April evening in 1934, on the River Arno in Florence, an air squadron, an infantry, a cavalry brigade, fifty trucks, four field and machine gun batteries, ten field radio stations, and six photoelectric units presented a piece of theatre. The mass spectacle, 18 BL involved over two thousand amateur actors and was performed before an audience of twenty thousand. 18 BL is one of eleven extraordinary essays collected together for the first time. The essays have been selected and edited from a wide range of publications dating from the 1940s to the 1990s. The authors are academics, cultural historians, and theatre practitioners - some with direct experience of the harsh conditions of Europe during the war. 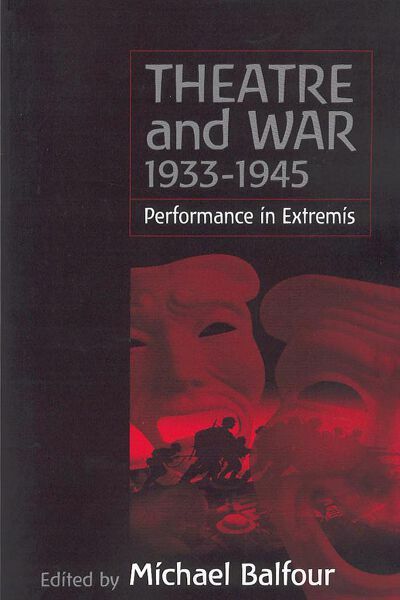 Each author critically assesses the function of theatre in times of world crisis, exploring themes of Fascist aesthetic propaganda in Italy and Germany, of theatre re-education programmes in the Gulags of Russia, of cultural "sustenance" for the troops at the front and interned German refugees in the UK, or cabaret shows as a currency for survival in Jewish concentration camps. Michael Balfour is currently head of BA in Drama, Theatre and Television at King Alfred's, Winchester and an award winning writer of theatre, film and radio scripts.